Preheat oven to 350°F. Grease and line four 6” round pans. Pour in egg whites, and mix on low until just incorporated. Mix in the buttermilk in two installments, on a low speed. Add in lime juice, lime zest, and oil, and mix at a low speed until fully incorporated. Scrape down the sides of the bowl with a spatula, then beat on medium high for about 30 seconds. Divide evenly between the prepared cake pans. Bake for 28-30 minutes, or until a skewer comes out clean. Allow to cool for 10 minutes, then run an offset spatula around perimeter of the pan to separate the cake from the pan. Place cake layers on a rack to finish cooling. 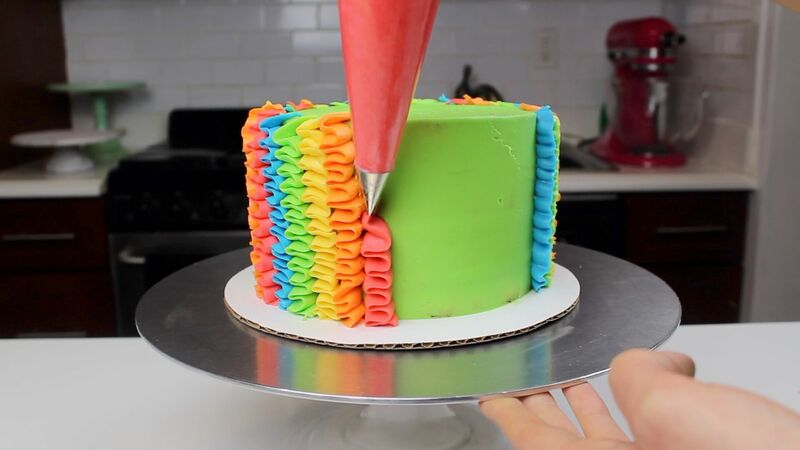 Once fulled cooled, use a serrated knife to level the layers. While the cake layers bake and cool, prepare the simple syrup. Place the sugar and water in a heat proof pan, and heat on a medium high heat until boiling. Reduce the heat to allow the mixture to simmer until all the sugar is dissolved (2-3 minutes). Add in the tequila and lime juice, and remove from heat. Add lime zest. Allow the mixture to cool, then pour over the trimmed cake layers. 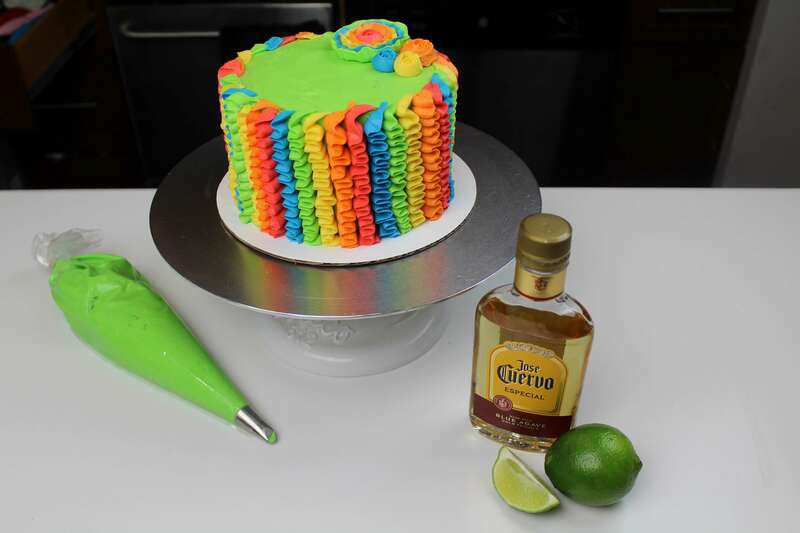 Next, make the tequila lime buttercream. Beat the butter on high for 30 seconds with a paddle attachment, until smooth. Slowly add in the powdered sugar, 1 cup at a time. Alternate with small additions of tequila and lime juice. Add salt, and beat on medium low until the ingredients are fully incorporated, and the desired consistency is reached. If the frosting is too thick, add in more tequila (1 teaspoon at a time). If the frosting is too thin, add in more powdered sugar (quarter of a cup at a time). Place 3/5 of the buttercream into a separate bowl, and color lime green. Divide remaining frosting between four bowls, and color bright green, pink, yellow, and blue! 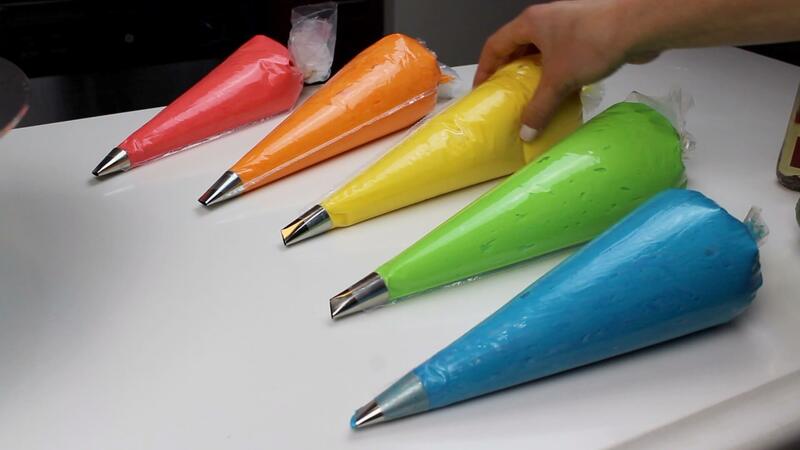 Place each color into its own piping bag, fitted with a petal tip (wilton 103 or 104). Once the cake layers have cooled, use a 2.5 inch circle cookie cutter to cut out the center of two cake layers. Stack and frost layers on a grease-proof cardboard cake round. Frost an even layer of green buttercream on the base (uncut) cake layer. Add the cut out cake layers as the 2nd and 3rd layer of the cake. Frost the cut out section with a thin layer of buttercream, using a small offset spatula. 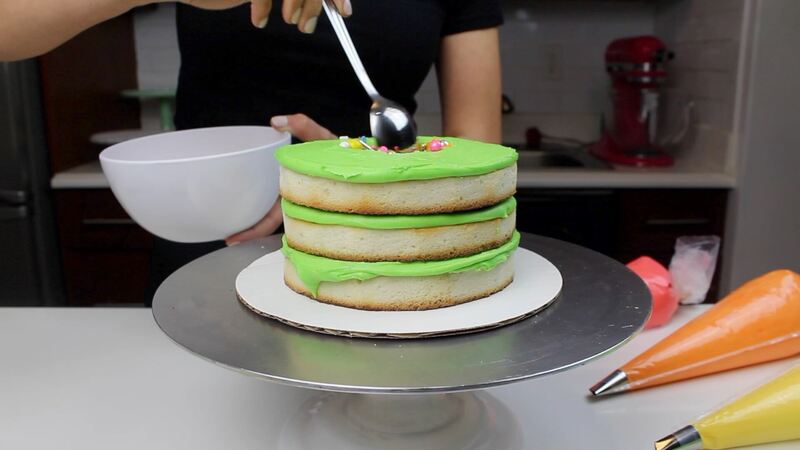 Fill the center fully with your favorite sprinkle blend, then top with the remaining, uncut cake layer. Apply a thin layer of frosting (crumb coat), and place in freezer to chill for 5 minutes. Place remaining green buttercream into a piping bag fitted with a wilton 104 tip. Once the crumb coat is firm to the touch, begin piping on the ruffles! Alternate colors in the same pattern, to create a uniformed look. 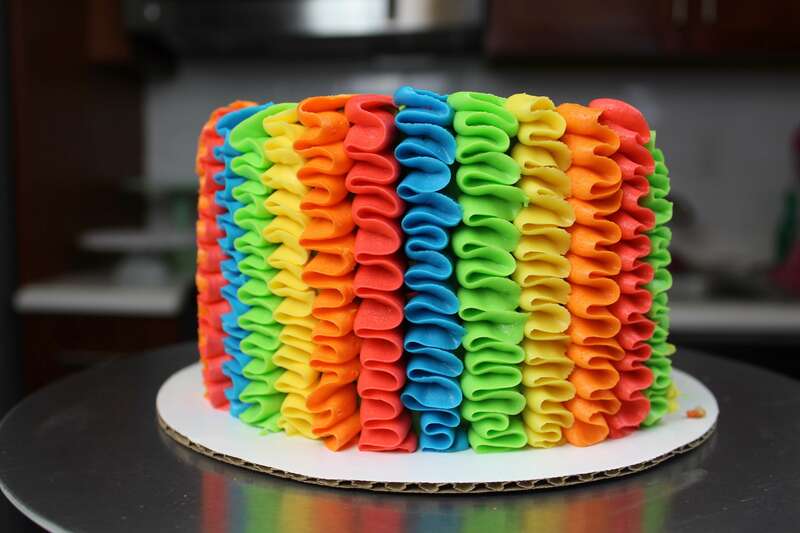 Begin at the base of the cake, moving the piping tip slowly from side to side, to create the ruffle pattern. The thicker side of the frosting tip should be placed against the crumb coat. It should lightly graze the crumb coat as you pipe, to ensure the buttercream ruffles anchor onto the cake. Try to keep the width of each ribbon consistent while piping. Repeat until you reach the top of the cake, carefully ending each ribbon by dragging the piping bag to the right. Continue until the entire cake is covered. Decorate the top of the cake with buttercream flowers. Pipe ruffle flowers onto parchment squares using the remaining buttercream, and place in the freezer for 10 minutes. Once firm to the touch, carefully peel off the parchment paper and place on one quarter of the cake. What type of flour? All purpose self rising? Chelsey, can this recipe be doubled to fill 3-7×2 cake pans? I just ordered the pans from Amazon and can’t wait to bake this cake!! Thank you! definitely! They will just need to bake slightly longer 🙂 happy baking!! When do You use the simple syrup? you pour it over the layers, once they’re trimmed and cooled! I just updated the recipe, sorry about that!